Australians spend around A$48 billion per month on credit, charge and debit cards. But the different fees, surcharges and “reward points” on these cards can be confusing. As my recent work with Rod Maddock shows, there is a simple solution - getting banks to charge consumers directly, as they already do on ATMs. Both the federal government and the Reserve Bank of Australia (RBA) are currently ramping up card regulations to protect consumers and stop the abuse of market power. Introducing direct charging would make it easier to compare different cards and forms of payment, giving consumers more choice and increasing competition. Currently, when you pay with a card, you set in motion a complex set of charges and rules. The merchant is charged a merchant service fee by its bank. That fee may be passed on to you directly, as a surcharge, or indirectly, through the prices the merchant sets for all customers. Your bank charges the merchant’s bank an “interchange fee”. Your bank may charge you or reward you, depending on the type of transaction. Each of these steps involves regulation but none of it is transparent to the customer. In contrast, with direct charging, when you pay by card, the merchant doesn’t face any extra fee. While banks may charge each other, these charges are unregulated and are not passed through to the merchant’s prices. If the banks want to charge customers, then they have to do it directly and transparently, giving customers the option to say “no thanks”. If you have ever used an ATM that is not part of your bank’s network, you are familiar with direct charging. The screen displays a fee with the option “do you wish to continue?”. If you press “yes”, then you are charged and complete the transaction. Alternatively, you can press “no” and go elsewhere. With card payments at merchants, it is just as easy. If your bank wants to charge you a fee, then it must tell you on the in-store display. You get an option to continue or to terminate the transaction and use a different payment instrument, such as cash or a different card. What are the benefits of direct charging? Under the current system, a merchant either passes on the fee its bank charges through a surcharge (such as the fee commonly paid for using American Express) or sets higher prices that all customers pay. But customers do not know if this surcharge really reflects the merchant’s fee. 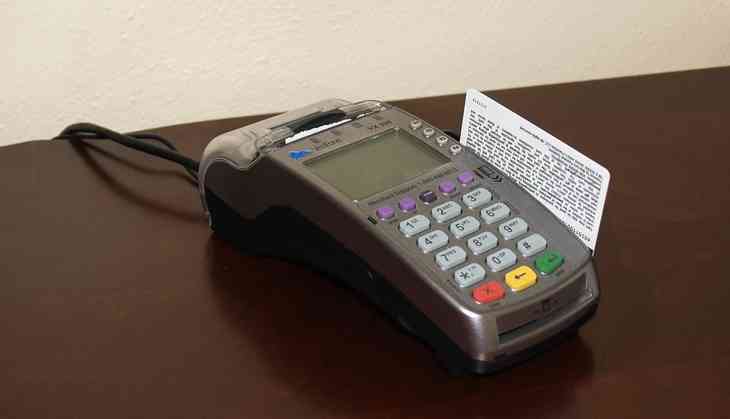 And if there is no surcharge, then customers that use cash end up paying more because of the customers that use cards. Direct charging removes the need to regulate both interchange fees and merchant surcharging. Because the merchant doesn’t face a fee when you pay by card, there is no need for them to charge a surcharge. And they can’t hide the fees in the prices customers pay. This makes direct charging transparent and fairer. If the banks want to charge fees to card users then they have to make the fees explicit at the time of purchase. A customer who wants to use a payment card that has a fee clearly pays that fee. It is also efficient. As customers see the cost of using different cards, they can make better decisions and can shop around. This will increase competition between the different cards. We know from ATM reforms that direct charging will have a big effect on the behaviour of both customers and card providers. Reporting on the first year of the reforms, the RBA stated that “ATM fees are much more transparent and cardholders have responded”. Customers shifted to “fee free” ATMs and Eftpos to withdraw cash. Banks increased their ATM networks and independent ATM operators were able to set up new ATMs in places where customers wanted them. In the first year of the reforms, direct charging for ATMs saved consumers around A$120 million. Payment card transactions are more than ten times the volume of “foreign” ATM withdrawals. So direct charging for payment cards could have significantly bigger benefits for consumers. Direct charging for payment cards doesn’t solve all regulatory problems. It cannot, for example, deal with excessive interest rates or prevent some customers from making poor decisions. So while it replaces a range of current rules and regulations, it is complementary to others. The key, however, is that direct charging puts the customer back in charge of their payments. By making the full cost of using a particular payment card clear, customers can make smarter choices. Many cards are likely to remove fees, particularly for low value transactions. Competition will be intense, particularly as many customers already have more than one payment card in their wallet. If one card charges too much then it is simple to pull out the other card. Over time, payment cards that do not offer value to customers will lose their place in purses and wallets.